Our Skittle Alley is situated on the first floor of the Bridge. Its features include two working fires, gas lanterns & a separate seating area. 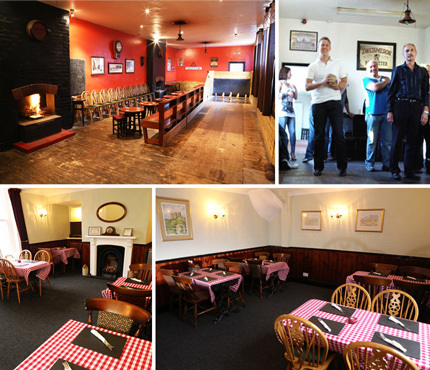 It is available for private parties of up to 40 people. Whether you are taking part in a game of skittles or simply there to enjoy a drink & watch your friends, you are sure to have fun in this room with its unique features. The Skittle Alley is available most evenings & could be hired for an alternative style party/celebration. - Advise us if you need catering for your event. Our private dining room is ideal for small gatherings & can accommodate up to 16 people seated comfortably. Please call us for further information.